Florence Spares the Outer Banks and the 2018 USLSSHA Annual Meeting. Old Oregon Inlet Station. USLSSHA Webpage. Based on communication with our North Carolina contacts, we can report that the Nags Head area had minimal hurricane disruption. They look forward to seeing us! For those attending the pre-conference visit to Wash Woods need to be at the following address (1142 Ocean Trail, Corolla, NC 27927) by noon on Wednesday, October 10thto be ferried into the site by Twiddy and Company Realtors, 1142 Ocean Trail, Corolla, NC 27927. This is their main office location and has plenty of parking for everyone’s cars. Please plan on being on site promptly at noon. There will be two shuttles to get everyone to the Wash Woods site. Post trip participants check in with Mike Carlson during the conference. The trip to Cape Lookout lifesaving service sites appears to be doubtful since this was the area hardest hit by Florence. 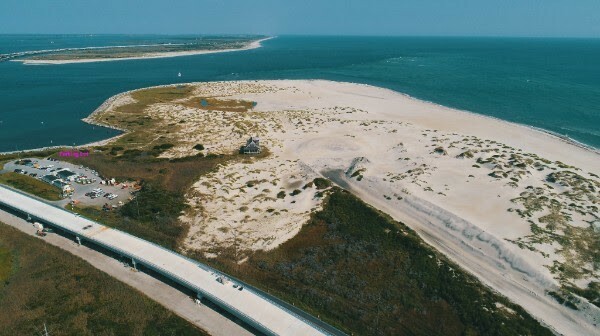 Mike is monitoring the situation and is waiting to see if a trip to Portsmouth Village might happen on Sunday, October 14thif Cape Lookout National Seashore reopens by then. The Comfort Inn South Oceanfront Hotel in Nags Head, NC has agreed to extend their special rate for two ocean front rooms since the September 10 deadline has past. Call the front desk, 252-441-6315, and say you are attending the meeting of the US Life-Saving Service Heritage Association. 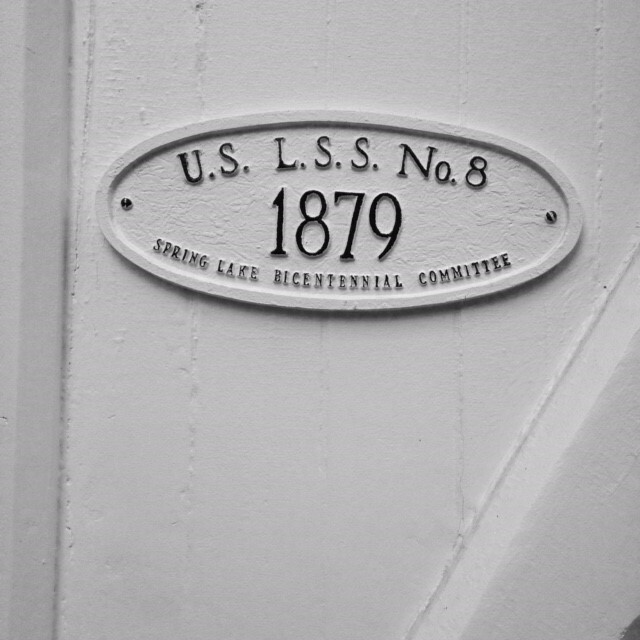 The owner of the Spring Lake, New Jersey USLSS No. 8 contacted the USLSSHA through our website and noticed that our online inventory identified her station as demolished. Betty Udelsman was quick to contact Jeff Shook, sent photos that show on the contrary her station does exists. Betty used our online database to see that her station was listed as follows and called to get it corrected. 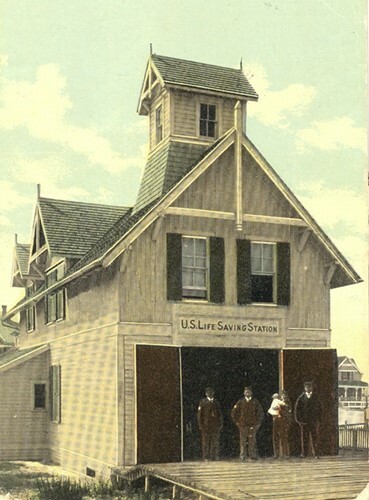 “Station closed in 1891 at this site and moved to a new location. Station house does not survive at original location and probably has been destroyed.” This information will be corrected and updated in our online inventory. Thank you Betty for letting us know and sharing current photos. The Ocean City Museum will celebrate its 40th Anniversary with beach themed party – Surfin’ the Seventies – at Fager’s Island on Saturday, October 20. The theme was chosen because the seventies were a seminal time for Ocean City. So much was going on – the condo boom, the founding of many iconic businesses, Fager’s being one of them, and, of course, surfing was very big. In 1891, the present museum was built as a Life-Saving Service station. 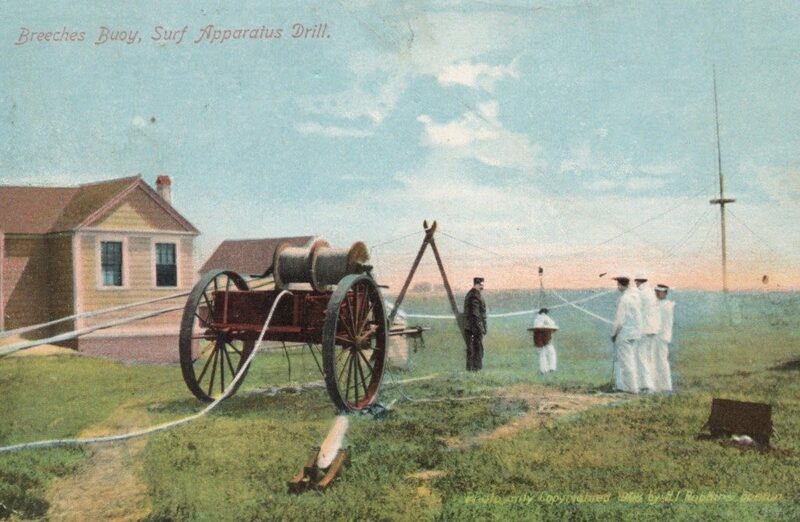 The surfmen stationed at Ocean City became an integral part of the newly developing town. 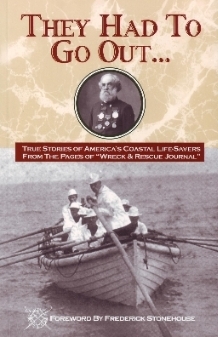 The Coast Guard used the building until 1964. The building was used by the city for various government departments but fell into a state of disrepair. In 1977, the building was scheduled for demolition. A group of concerned citizens formed the Ocean City Museum Society and with the generosity of the mayor and city council the building was saved by moving it to its present location. It opened as a museum in the winter of 1978. The Museum Society is a nonprofit that is dedicated to inspiring and supporting the interpretation and appreciation of the cultural and natural history of Ocean City, and the Worcester County coastal region as well as to preserve the memory of the Life-Saving Service. Visit www.ocmuseum.orgfor additional information and to purchase tickets. The Cleveland Metroparks, which took over restoration of the city-owned facility in 2016, has completed Phase One of a makeover of the facility, which is listed on the National Register of Historic Places. The $1 million partial restoration involved clearing out the debris and fixing and tearing down walls to consolidate the space, making it more wide-open and manageable. Bringing awareness followed by structural improvements and a clean, safe environment that will lure more people has been the model the Metroparks has employed to revive nearby Edgewater Park and Wendy Park on Whiskey Island. 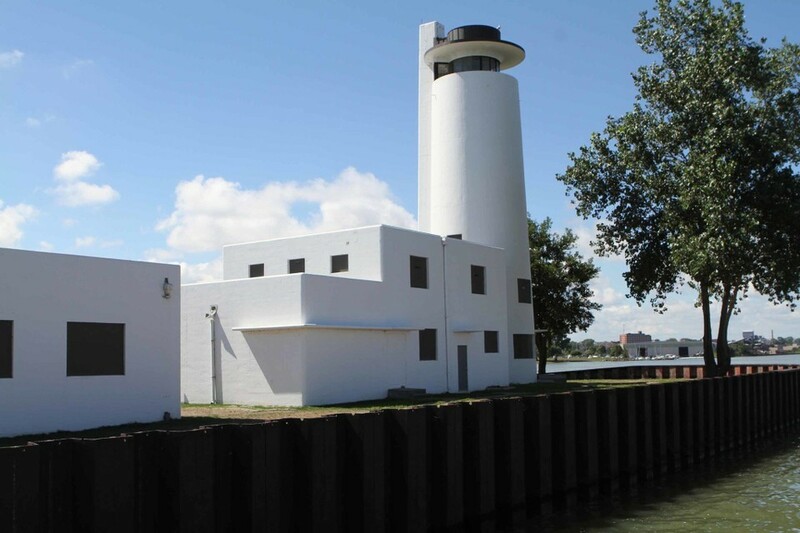 The station features a 60-foot lighthouse that offers spectacular views of the lake, river and city. It also comes with an 8,000-square-foot boathouse with three bays; a garage; and attached docks. To read the rest of the story and to see the many historic and recent photos of the structure visit www.cleveland.com/entertainment/index.ssf/2018/06/cleveland_metroparks_unveils_h.htmlto see how the structure has improved since our conference on Lake Erie. Send your registration in now or go to the website to register. Please check out the itinerary (http://uslife-savingservice.org/annual-conference/2018-annual-meeting-itinerary/), there are a number of stations that we will see as a group during the conference. The last count was 9during the conference dates October 11-13, 2018. 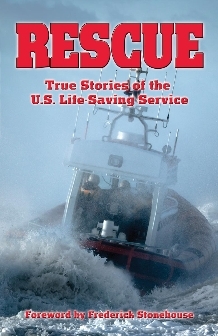 The Annual Conference of the United States U.S. Life-Saving Service Heritage Association will be held in Nags Head, North Carolina from Thursday, October 11 through Saturday, October 13, 2018. The cost for the full conference is $190 including the annual dinner, and daily rates are $75 for each day plus add $50 if you want to attend the annual dinner. 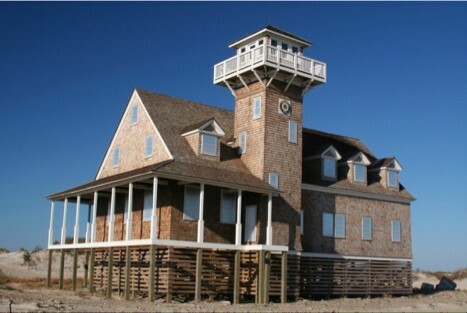 The annual dinner will be held at the Black Pelican Restaurantwhich is the former 1874 Kitty Hawk Life-Saving Station. Also consider joining the Life Linesstaff. We are now threeand more are welcome to join us. If you wanted to have a role or contribute to the organization this is your opportunity to do so.